Those 'I have nothing to wear' mornings rack up. Wardrobe rage is real, you guys. The frustration and anger you feel when you think you have nothing to wear is a valid concern, according to a new study by Marks & Spencer. This new report, which polled 2,000 British individuals, learned that women use up nearly six months of their adult lives just deciding what clothes to put on. Broken down, that’s 17 minutes spent each day just deliberating in front of your closet. Getting dressed is not an easy thing, as these people can attest to. 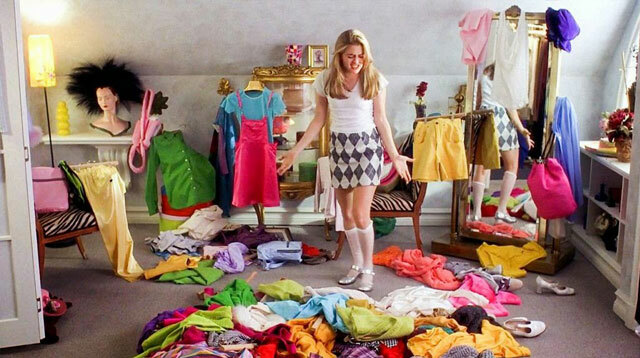 One in 20 adults will say they have absolutely nothing to wear, despite having, on average, 152 clothing items. Having no clue what to wear also tends to be a mood killer: 15 percent say this whole process tends to ruin their day. Choosing clothes also affects your work and personal lives. One in 10 have been late for work because they could not decide on an outfit, while 14 percent simply abandoned their plans due to a perceived lack of clothing.